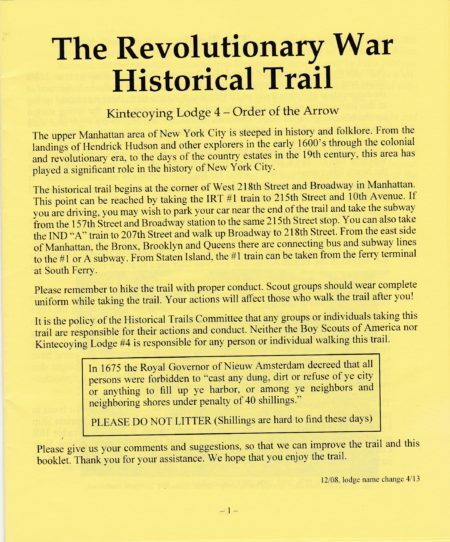 For years Man-A-Hattin Lodge #82 sponsored two historic trails in Manhattan, one was “The Old New York Trail” the other was the “Revolutionary War Trail”. 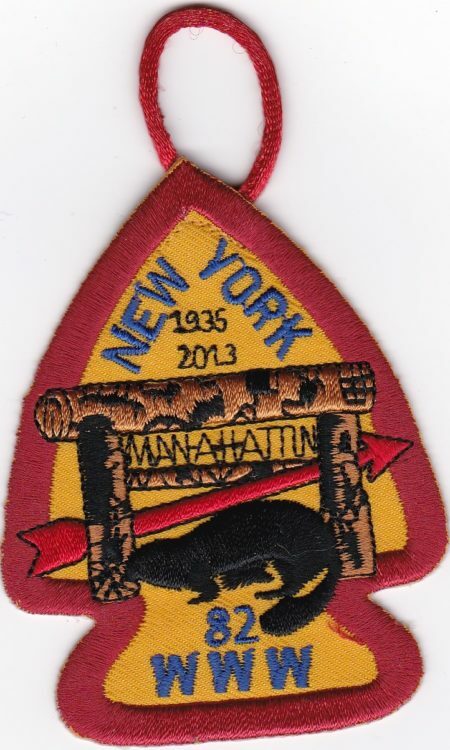 After the merger into Kintecoying Lodge #4 in 2013, the lodge continued to use the old patches until they ran out. After all, a Scout is Thrifty. 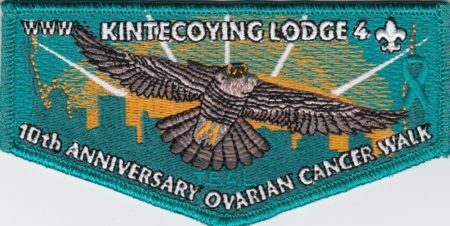 But now the patches have run out, and they have been reissued with the Kintecoying Lodge name. 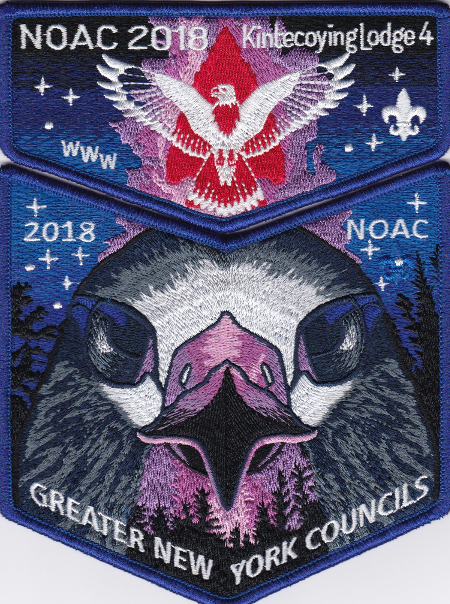 This is the second of the two patches, this one for the Revolutionary War Trail. and here is the booklet for the trail. 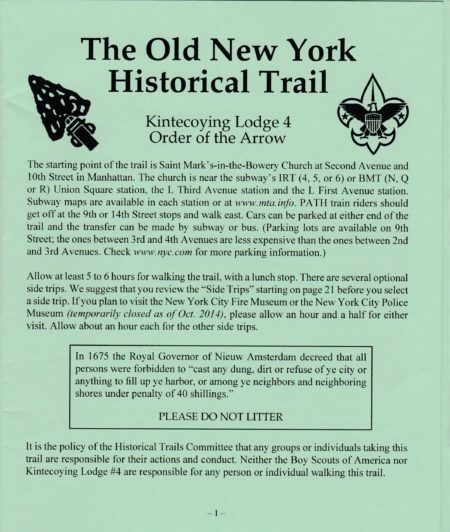 For years Man-A-HAttin Lodge #82 sponsored two historic trails in Manhattan, one was “The Old New York Trail” the other was the “Revolutionary War Trail”. 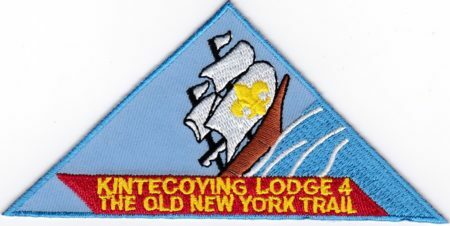 After the merger into Kintecoying Lodge #4 in 2013, the lodge continued to use the old patches until they ran out. After all, a Scout is Thrifty. 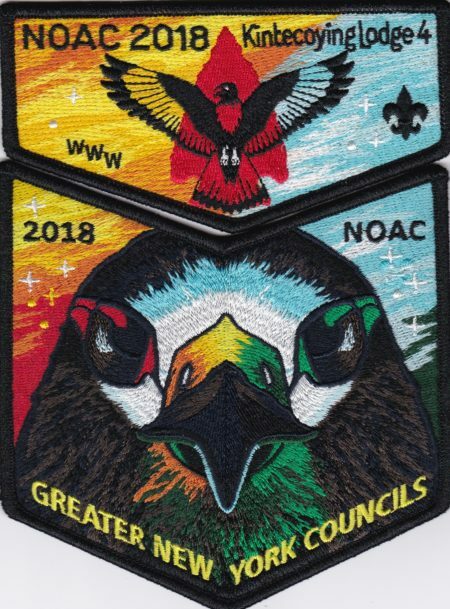 But now the patches have run out, and they have been reissued with the Kintecoying Lodge name. 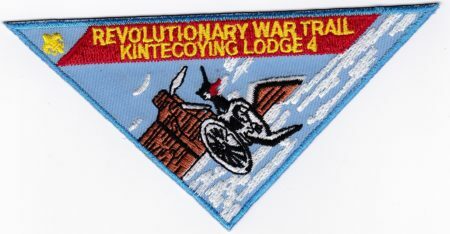 Most of the predecessor lodges of Kintecoying Lodge #4 issued one or more Death Flaps or final Banquet patches. Man-A-Hattin Lodge #82 did the same, but it did not become available until there year-end chapter banquet over 6 months after the merger in April 2013. Therefore I’m calling this a chapter issue from Man-A-Hattin Chapter of Kintecoying Lodge #4, To date, this is the only chapter issued from any of the lodge’s six chapters. 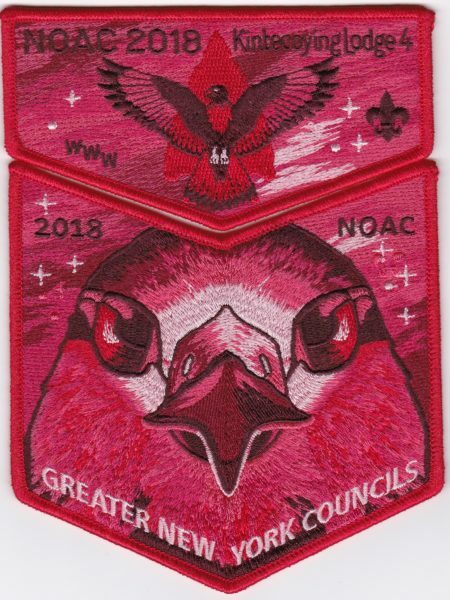 It usses the same design as the original arrowhead from the lodge and adds the birth and death years.